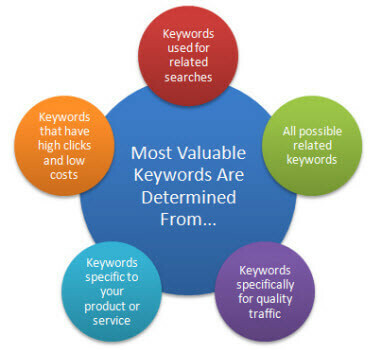 It is a mistake to start creating a website without first having done proper keyword research. It is also a mistake to not consider how you will make money from the site. These two elements are crucial in determining your success. If you build pages around keywords that nobody is even searching for, you won’t receive traffic. If you build pages around popular themes, but these themes are topics such as “celebrity gossip” or other keywords that do not indicate a profitable niche, then you will have an extremely difficult time monetizing that traffic. How will your site make money? “I’ll figure that out once I have the traffic” is not a good path. Only by determining the profitability of a niche can you know whether a site is worthy to build. That is, of course, assuming that you’re doing all of this to make money. If you’re building a cute kitten site just because you like cute kittens, and don’t need to make money — all the more power to you. Solar Panels: You could collect leads and sell them to solar panel installers. That would likely be the most money you could make. Next, you could put up Amazon ads for solar panels. This is likely the second most profitable. Lastly, you could put up Adsense. This would likely be the least profitable — because advertisers for that page will probably be monetizing the clicks by selling leads or solar panels. Weight Loss: The most profitable would be in determining popular weight-loss pills. You can likely find options that would pay a higher percentage than Amazon. Adsense would likely be the second most profitable option — as there are many topics for losing weight and everyone is not looking to buy a pill. Product-Based eCommerce Site: These are always good profit makers. This is especially the case when you focus on buying keywords that represent broad categories that have little competition. The way to monetize this would of course be selling products. Whether you’re using Amazon, or other sources that pay a higher percentage of the sale, this is really the only way to monetize. 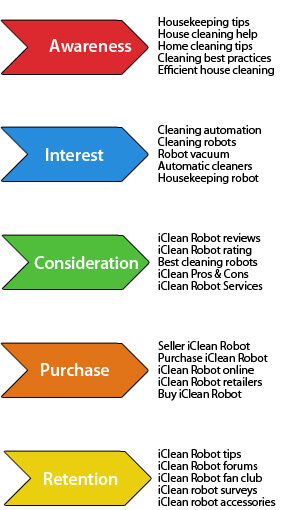 All of the above topics are buying intent keywords. If someone lands on your page, having searched for those keywords, they’re looking to spend money. Lets compare that to other types of searches that are not easy to monetize. Celebrity Gossip: How would you monetize celebrity gossip? Adsense is an option. The problem, though, is nobody is bidding on celebrity gossip terms — because someone searching for Britney’s latest breakdown isn’t interested in any particular product. Because nobody is going to be bidding on those keywords — they’ll likely be minimal payout per click for Adsense. TMZ makes a fortune. They also have 25.9 million views per month. You can make good money at 5 cents a click when you have 25.9 million views. Current News: This is another non-buying intent keyword. If you’re writing articles on the latest country the US decided to invade, there’s not a specific buying intent associated with that topic. Few people would bid on that term, which means you wouldn’t offer a great opportunity for advertisers — thus you could be smart priced by Google because your traffic doesn’t convert. Don’t put yourself in a position where you’ve done all the hard work to build traffic, but can’t figure out how to monetize it. If you aren’t 100% certain how you can monetize “free flash games”, then don’t go for that keyword. Product sales are always a winner. If the best monetization involves collecting leads, then make sure that shopping those leads around to potential buyers is something you want to do. If you’re going for adsense, make certain that competition for your keyword is “high”, with a higher CPC. You’re looking for low hanging fruit – a keyword that is low competition and easy to rank for, yet has a high amount of searches. Load up Google’s Keyword Planner and look for keywords in your desired profitable niche. Before continuing, lets talk about those profitable niches. Certainly, payday loans are profitable, as well as various medical terms. However, keep in mind that Google has a special algorithm for dealing with payday loans. When it comes to medical advice, Google has higher strictness on your site’s legitimacy. Quite frankly, Google is going to be pickier about sending someone to a site for medical advice. If you’re considering building a site on cancer treatments, but you’re not affiliated with a hospital, or a “seed site” that is trusted for medical advice, and you’re not a doctor, Google is unlikely to send you traffic no matter how many links you acquire. Enter your keyword into the Keyword Planner and search. Google will default you to “ad group ideas”, because they want you to buy ads. Switch from that tab to the “Keyword ideas” tab. That will show you exactly how many people search for your term, as well as other variants that are closely related to your keyword. If you are considering using Adsense for monetization, look at the competition column. If it is “low”, that is an indication that people are not bidding for that keyword. If you’re not using Adsense — but you know how you can monetize that keyword, then competition doesn’t matter. However, if you’re expecting to make money from Adsense, you need people bidding on your keyword. If people aren’t bidding on it, then your CPC won’t be very high. Likewise, if there is high competition for your keyword, then it is likely that you will eventually have many people competing over your website, bidding higher amounts so their ads show on your site. This is what you need to have happen in order to consistently get higher payouts per click. Just because competition is high doesn’t necessarily mean that they’re paying large amounts, however. By looking at the suggested bid column, you can get an idea of how much people are paying when they actually do bid on that keyword. Keep in mind that CPC won’t matter if your content doesn’t convert for the bidder — if your traffic doesn’t convert, you will be smart priced and your profit per click will be lower. 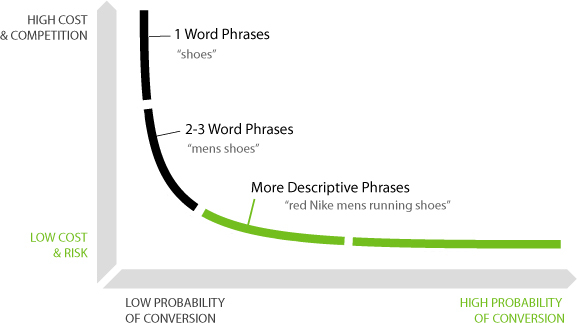 The more words a keyword is, the easier it should be to rank for. Obviously, a one-word keyword will be the most difficult, whereas a 2-word is slightly easier, and a 3-word keyword is easier yet. It will be easier to rank for “how to lose 10 pounds in a week” than it would be to rank for “how to lose 10 pounds”. Next, take the keyword to Google and search for it. What you’re mainly looking for is pages that are ranking, but are not optimized. You know a keyword will be easy to rank for, if nobody in the top 10 has that exact keyword in the title. You will find it easier if the pages in the top 10 are not branded. I would rather see a Youtube listing as #1, rather than a Woman’s Health Magazine ranking. A Youtube video being #1, and Wikipedia #2 … suggests that big brands aren’t optimizing for that keyword. As Google greatly favors brands in their search, you will find it difficult to compete with a brand. However, its not as difficult to compete against Youtube, or Wikipedia, because they’re not usually ranking #1 because someone is searching for them as a brand. Because I typically chase after low hanging fruit, those are the things I look for. Are the top pages optimized, and are they brands? If not, I know I can compete in that niche. Let me compare this to a guy I know who recently built a site around the new car models coming out. What sites rank for new car models? KBB (Kelly Blue Book, brand), Car and Driver (magazine brand), Edmunds (brand), Motortrend, Consumer Reports, Autotrader, etc — those are all brands. Next, you have the newspapers who report on new car models coming out, such as MSNBC, Yahoo News, AOL, Fox, etc. Thirdly, you have the actual car manufacturers like Toyota, Ford, etc — and they will certainly rank extremely well for their own make and models. Is it smart to take on a niche where you’re competing with such established brands, newspapers and manufacturers — all of whom are shooting for the same keywords you are? No. Even if your keyword is “best new cars 2015” — a 4 word keyword (indicating it should be easy), and even though only 1 site in the top 10 is using that exact keyword in title (indicating it should be easy), it is not easy, because you’re up against brands. Google will rank brands really well, even when their page isn’t optimized. That’s why it is critical to search for branded results in the top 10, when choosing your keyword. In summary, make certain your keywords can be monetized well — that they represent buying intent, and that people actually bid on those terms so their competition is high. Next, select the keywords where the pages in the top 10 are not optimized for their title, and they are not branded results. By doing this, you are giving your new money site a chance to succeed. Otherwise, you’ll fail before you even create your first article.